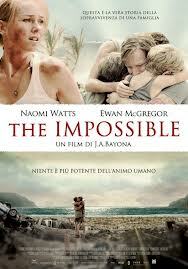 I have recently watched the DVD of the film The Impossible again. Starriing Ewan McGregor and Naomi Watts this heart wrenching and at times horrific film, is based on the true-life story of a Spanish family , and their three children who are spending their Christmas vacation at a tropical paradise resort in Thailand, until their idyllic vacation takes a terrifying turn for the worse on the morning of December 26, 2004, when a devastating tsunami sweeps across the Indian Ocean devastating south-east Asia, and killing 230,000 people. During the ensuing chaos The family are seperated and begin a desperate search to find each other amid the chaos and destruction of a vast, shattered landscape. Directed by Juan Antonio Bayona from a screenplay written by Sergio G. Sánchez, The film eschews a more panoramic view of the disaster in favour of a more gritty realistic view of the family’s frightening journey from start to finish, putting the viewer right in the moment at every stage by using authentic locations and tsunami survivors to make it more realistic and hammer home the reality of this tragedy, The most frightening scene is the epic re-creation of the catastrophic 2004 Indian Ocean tsunami.It has been described as one of the best films of the year and premiere at the 2012 Toronto International Film Festivale on September 9, where it received critical acclaim. The film was released on October 11, 2012 in Spain and in North America on December 21, 2012. However The events are still fresh in many peoples memories and when The Trailer was aired before The Hobbit: An Unexpected Journey Some National Newspapers reported that British survivors of the Indian Ocean tsunami were “horrified” and felt “ambushed” with some being reduced to tears by the film’s trailer. Consequently TSUNAMI SUPPORT UK, a support group for survivors of the tsunami, lobbied to have the trailer screened with a warning notice beforehand. However, tensions within the band again arose over identity and artist direction, and Hagar, like Roth earlier, departed in June 1996. Hagar left behind him a portfolio of 4 studio albums with the band (5150, OU812, For Unlawful Carnal Knowledge, and Balance) as well as one live album (Live: Right Here, Right Now).Following Hagar’s departure, the group briefly reunited with original singer David Lee Roth and released Best of Volume I, a greatest hits package, in October 1996. Two new songs were recorded for the album, with the single “Me Wise Magic” reaching #1 on the mainstream rock chart (“Can’t Get This Stuff No More” was the other new single). However, previous disagreements resurfaced and the reunion did not last, as Roth left in September 1996, after the MTV Video Music Awards.The band auditioned many prospective replacements for Hagar, finally settling on Gary Cherone, former front man for Extreme, a band also represented by Van Halen’s manager. Cherone predicted that the new line-up would last ‘ten years’. The band also completed a world tour touting their new single “Without You” and did go back in the studio to start on a second record. However, Cherone soon had an amicable departure, and without a lead singer, Van Halen went on hiatus. In 2004, Van Halen returned with Hagar as their lead singer. A greatest hits package, The Best of Both Worlds, was released to coincide with the band’s reunion tour. The album included three new tracks recorded with Hagar (“Up For Breakfast”, “It’s About Time”, & “Learning to See”).On February 2, 2007, it was officially announced on the band’s website that David Lee Roth would rejoin Van Halen for their summer tour. The excitement regarding the tour waned when on February 20, 2007, reports surfaced that the tour was indefinitely postponed. A previously planned compilation of Roth era Van Halen hits was likewise shelved.However after six months and a stint in rehabilitation for Eddie, it was finally confirmed by the band that they would do a tour with the new lineup from late 2007-mid 2008 across North America, with further worldwide . The latest album A Different kind of Truth was released in 2012. Victory in Europe Day—known as V-E Day or VE Day—was the public holiday celebrated on 8 May 1945 (in Commonwealth countries, 7 May 1945) to mark the date when the World War II, when the Allies formally accepted the unconditional surrender of the armed forces of Nazi Germany and the end of Adolf Hitler’s Third Reich, thus ending the war in Europe. The formal surrender of the o7ccupying German forces in the Channel Islands was not until 9 May 1945. On 30 April Hitler committed suicide during the Battle of Berlin, and so the surrender of Germany was authorized by his successor, President of Germany Karl Dönitz. The administration headed by Dönitz was known as the Flensburg government. The act of ilitary surrender was signed on 7 May in Reims, France, and on 8 May in Berlin, Germany. Upon the defeat of Germany (Italy having already surrendered), celebrations erupted throughout the Western world. From Moscow to New York, people cheered. In the United Kingdom, more than one million people celebrated in the streets to mark te end of the European part of the war. In London, crowds massed in Trafalgar Square and up The Mall toBuckingham Palace, where King George VI and Queen Elizabeth, accompaniedby Prime Minister Winston Churchill, appeared on the balcony of the Palace before the cheering crowds. Princess Elizabeth (the future Queen Elizabeth II) and her sister Princess Margaretwere allowd to wander incognito among the crowds and take part in the celebrations. the United States, the victory happened on President Harry Truman’s 61st birthday.] He dedicated the victory to the memory of his predecessor, Franklin D. Roosevelt, who had died of a cerebral heamorrhage less than a month earlier, on 12 April. Flags remained at half-staff for the remainder of the 30-day mourning period.Truman said of dedicating the victory to Roosevelt’s memory and keeping the flags at half-staff that his only wish was “that Franklin D. Roosevelt had lived to witness this day. Later that day, Truman said that the victory made it his most enjoyable birthday.Massive celebrations also took place in Chicago, Los Angeles, Miami, and especially in New York City’s Times Square. Victory celebrations in Canada were marred by the Halifax Riot. Attenborough was educated at Wyggeston Grammar School for Boys in Leicester and then won a scholarship to Clare College, Cambridge in 1945, where he studied geology and zoology and obtained a degree in natural sciences.Television & RadioIn 1950, he applied for a job as a radio talks producer with the BBC. where he also attracted the interest of the head of the Factual broadcasting department of the BBC’s fledgling television service, he accepted a three-month training course, and in 1952 he joined the BBC full-time. Attenborough’s association with natural history programmes began when he produced and presented the three-part series The Pattern of Animals, which discussed the use of camouflage, aposematism and courtship displays among animals. Through this programme, Attenborough met the curator of the zoo’s reptile house, and they decided to make a series about an animal-collecting expedition. The result was Zoo Quest, first broadcast in 1954, which Attenborough presentedIn 1957, the BBC Natural History Unit was formally established in Bristol. Attenborough formed his own department, the Travel and Exploration Unit, which allowed him to continue to front Zoo Quest as well as produce other documentaries, notably the Travellers’ Tales and Adventure series. In between filming Attenborough also began studying for a post-graduate degree in social anthropology at the London School of Economics, however he returned to the BBC as controller of BBC Two before he could finish the degree and became the controller of BBC Two in March 1965 but was allowed to continue sudying as well as making programmes on an occasional basis. Later the same year, he filmed elephants in Tanzania, and in 1969, he made a series on the cultural history of the Indonesian island of Bali. For the 1971 film A Blank on the Map, he joined the first Western expedition to a remote highland valley in New Guinea to seek out a lost tribe.When Attenborough arrived as controller of BBC2, he established a portfolio of diverse and different programmes which defined the channel’s identity for decades to come. which included music, the arts, entertainment, archaeology, experimental comedy, travel, drama, sport, business, science and natural history programmes such as Man Alive, Call My Bluff, Chronicle, Life, One Pair of Eyes, The Old Grey Whistle Test, Monty Python’s Flying Circus and The Money Programme. He also ordered a 13-part series on the history of Western art, which was Broadcast to universal acclaim in 1969 and set the blueprint for landmark authored documentaries. Others followed, including The Ascent of Man and Alistair Cooke’s America. Attenborough thought that the story of evolution would be a natural subject for such a series. He shared his idea with a producer at the Natural History Unit, who came up with the title Life on Earth and returned to Bristol to start planning the series.Early the following year, he left his post to return to full-time programme-making, leaving him free to write and present the planned natural history epic. Attenborough became a freelance broadcaster and immediately started work on his next project, a pre-arranged trip to Indonesia with a crew from the Natural History Unit. It resulted in the 1973 series Eastwards with Attenborough, which was similar in tone to the earlier Zoo Quests . On his return, he began to work n the scripts for Life on Earth. Due to the scale of his ambition, the BBC decided to partner with an American network to secure the necessary funding. While the negotiations were proceeding he worked on a number of other television projects. He presented a series on tribal art (The Tribal Eye) and another on the voyages of discovery (The Explorers). 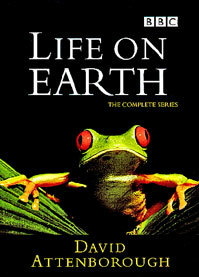 Eventually, the BBC signed a co-production deal with Turner Broadcasting and Life on Earth moved into production in 1976.The Life seriesBeginning with Life on Earth in 1979, Attenborough set about creating a body of work which became a benchmark of quality in wildlife film-making and influenced a generation of documentary film-makers. The series also established many of the hallmarks of the BBC’s natural history output. By treating his subject seriously and researching the latest discoveries, Attenborough and his production team gained the trust of the scientific community, who responded by allowing him to feature their subjects in his programmes. In Rwanda, for example, Attenborough and his crew were granted privileged access to film Dian Fossey’s research group of mountain gorillas. Innovation was another factor in Life on Earth’s success: new film-making techniques were devised to get the shots Attenborough wanted, with a focus on events and animals that were hitherto unfilmed. Computerised airline schedules, which had only recently been introduced, enabled the series to be elaborately devised so that Attenborough visited several locations around the globe in each episode, sometimes even changing continents mid-sentence. Although appearing as the on-screen presenter, he consciously restricted his pieces to camera to give his subjects top billing. 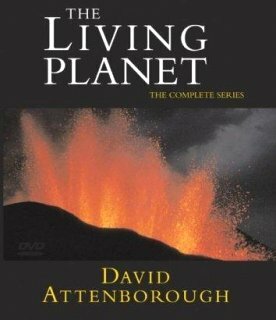 The success of Life on Earth prompted the BBC to consider a follow-up, and five years later, The Living Planet was screened. This time, Attenborough built his series around the theme of ecology, the adaptations of living things to their environment. It was another critical and commercial success, generating huge international sales for the BBC.In 1990, The Trials of Life completed the original Life trilogy, looking at animal behaviour through the different stages of life. In 2012 Attenborough celebrated 50 years in broadcasting and during this long and distinguished career he has been given many honorary degrees by British universities. In 1980, he was honoured by the Open University. He also has honorary Doctor of Science awards from the University of Cambridge, the University of Oxford and the University of Bath. In 2006, he received the title of Distinguished Honorary Fellows of the University of Leicester, “in recognition of a record of continuing distinguished service to the University.” David Attenborough was also awarded an honorary Doctor of Letters degree by the university in 1970, and was made an honorary Freeman of the City of Leicester in 1990. He has also received the title Honorary Fellow from Clare College, Cambridge, the Zoological Society of London, the Linnean Society, the Institute of Biology and the Society of Antiquaries, snd was named as the most trusted celebrity in Britain in a 2006 Reader’s Digest poll. The following year he won The Culture Show’s Living Icon Award and was also named among the 100 Greatest Britons in a 2002 BBC poll and is one of the top ten “Heroes of Our Time” according to New Statesman magazine.He also has the distinction of having a number of newly-discovered species and fossils being named in his honour. In 1993, a fossilised Mesozoic armoured fish discovered in Western Australia was given the name Materpiscis attenboroughi, which is also believed to be the earliest organism capable of internal fertilisation. He has also lent his name to a species of Ecuadorian flowering tree, Blakea attenboroughi, one of the world’s largest-pitchered carnivorous plants, Nepenthes attenboroughii, and one of only four species of long-beaked echidna, the critically endangered Zaglossus attenboroughi, discovered by explorer and zoologist Tim Flannery in the Cyclops Mountains of New Guinea in 1998, and In September 2009, London’s Natural History Museum opened the Attenborough Studio, part of its Darwin Centre development. Attenborough’s contribution to broadcasting and wildlife film-making has brought him international recognition. He has been called “the great communicator, the peerless educator” and “the greatest broadcaster of our time”. His programmes are often cited as an example of what public service broadcasting should be, and have influenced a generation of wildlife film-makers.